I imagine they will likely be using the rumoured, cancelled Medal of Honor assets that they were supposedly working on. Please let this a Titanfall VR game where you are controlling a Titan for the entire game. Nope. The VR game is not related to Titanfall or Star Wars. Interesting. @Jayfresh_Respawn has stated on Reddit that they aren’t talking about it just yet, but it’s not Titanfall or Star Wars. I was worried about VR and motion sickness, but I’ve not experienced any. I have the PSVR and there is an arena Mech game called Rigs, I had to adjust a little bit it’s pretty cool. There’s another Mech game called Archangel, that really gives you the feeling of being in a giant robot, although it’s not fast paced. I’m disappointed Respawn’s VR game is a partnership with Oculus, which means I’ll never get to play it. Not a fan of VR.. was never a fan of 3D either. I'm sure it will be awesome though, it's Respawn at the end of the day. I wasn’t a fan of 3D either, but VR is on a different level. I was skeptical about it, but I’m super enthusiastic and impressed with VR. I was kind of getting bored with video games in general, the PSVR kind of rekindled my love of gaming. Sorry @Jayfresh_Respawn my response was written before you replied here, but I was having issues posting it. The reverence and passion that he has for the project plus Respawn dev culture is genuinely exciting. There's a lot of dumb, gimmicky stuff that has been in VR but when you get to experience a game or space or whatever done right it's magical. I think the team is going to do something special with it. Yeah I've tried VR, not a fan of that either. I don't like having all of these things attached to me to play game. They were working on a Medal of Honor game which was cancelled (all rumours). When games are cancelled they can re-use the assets to create other things or sell them to another company. In this case, they are likely using those assets to make this VR game. Furthe evidence that this is the rumoured Medal of Honor game is that Peter Hirschmann was the director of that game and is now the director of this game. So it will be a WW2 VR 'combat experience'. So an immersive experience about a war that horrified the world... sounds risky. I've got mixed feelings about VR... many games would be brilliant for it (And personally, I'd love a VR experience where you're a pilot in a titan... but some games and genres are just a bad idea for VR to branch into. People react to VR differently, and you need to identify the point at which a war game becomes too immersive. Things like war games and horror need to be carefully managed or else you could cause a lot of issues. The days we develop AR technology and even far in the future where we literally go into games (yea, talking a bit unrealistically here, but technology inevitably advances so who knows) is what scares me... we'll be treating kids for war induced PTSD because they've been playing the next CoD (god, i hope the franchise has died by then). Racing and flight sims are suited to VR... but I'm not so sure about other types of games. Maybe a strategy game where the battlefield is projected onto a virtual table and you command units with your hands with gestures and interactive menus is a pretty good idea too. Reminds me of the holotable that Dooku is looking at on Geonosis in SW Episode 2. 'Vulnerant omnes, ultima necat' - They all hurt, the last one kills. I don’t think the Respawn VR game will be Medal of Honor. A reboot of that magnitude would probably be developed for a mass audience. 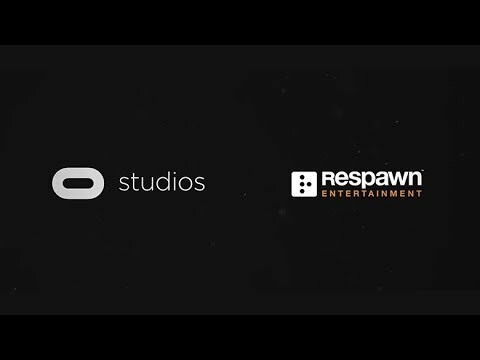 Respawn’s VR will be exclusive to Oculus, that’s a pretty small audience. @Voidwalker-1998 It’s Always Sunny in Philidelphia did an episode called PTSDee about VR where Mac and Frank become addicted to a realistic war game called Fallujah, and eventually start feeling the effects of PTSD. SuperMassive Games has a game coming out for PSVR called Bravo Team which looks to be a realistic looking game of modern guerilla warfare. My experience with VR has been very positive, I’ve only experienced nausea once, and it was recently with a game called Megaton Rainfall. I’m hoping it is due to the fact that my allergies are extremely bad right now, but you can play it non-VR as well. Two games that I’ve played with mechs are Archangel, which gives you the sense and feeling of being in a giant mech, but moves rather slow. The other is Rigs, which is a fast paced combat arena shooter type with mechs. It’s incredibly fun, and surprisingly didn’t cause me any motion sickness. I agree with this. Racing and flight would definitely probably work best for VR and that's why I'm not really into it. Other games I feel are a bit too intricate in order to make it seamless to play an FPS or even a MP game. It's not a MOH game. The game was cancelled and they were left with lots of WW2 shooter art/animation/code/whatever which they could possibly put to use in this VR game. @xIK0N88x for the moment, the lack of games that appeal to me and the price of PSVR are why I'm not bothered about it for now. Most of the VR games I've seen for PSVR look... iffy at best, and it's mainly because they're either more of an experience than a game (things like that Until Dawn look like something that belongs in an amusement arcade) or the PS camera has motion controls as dodgy as the Nintendo Wii... and I've had my fair share of crosshairs that move as if they're attached to the end of a spinning rotor blade. I hope that the upcoming Ace Combat game makes more use of VR... but my hope ain't really high any more. The Fallout 4 VR looked interesting... but of course it wouldn't be coming to PS4, would it? As someone that has had PSVR since launch, I can assure you it’s nothing like or as dodgy as the Wii controls were. Sure, there are definitely things for the PSVR that are more of an experience rather than a game, but Until Dawn Rush of Blood is not one of them. It has an arcade feel to it and is set in an amusement park, but it’s a solid horror/shooter and was one of my top 10 favorite games of last year. If they released it without VR, it would still be a great game. Not all VR games are great, that’s for sure, but the ones that are, are amazing and special. Even the stuff that is more of an experience is wonderful. I’ve always wanted to cage dive with sharks, but would probably never have the courage to actually do it. PSVR has given me an idea of what it would be like...for now I’m good with VR cage diving! The games are getting better as VR matures, and after playing Resident Evil 7 on PSVR, my love of horror games has been rekindled. The entire time I was playing The Evil Within 2, I was wishing it was in VR. I was skeptical about VR before getting the PSVR, but now I’m hooked! I’ve been a gamer for many years, and have seen many trends come and go, I don’t think VR is just a fad. Ok, I’ll stop gushing over PSVR now, the Sony fan girl is strong with this one. Is there any news on Respawn`s vr game yet? Or is it still a super-duper-secret . And i was wondering if anyone has tried Titanfall 2 on Oculus / got it working 100%? I tried with Vorpx a while back but did not get it to work properly. Got to play but it didn't play as VR, it was more or less just a "big screen effect " and the view was locked to my mouse (Not head tracking ) Used the TF1 Settings in Vorpx.